In business, you’re constantly seeking solutions. You’re solving problems for clients, employees and your organization. Did you know that rooftop solar panels on your facility could provide solutions? When considering ways to save money and operate your business more efficiently, you naturally think about factors like inventory control, business-to-debt ratios and reducing turnover. These are all issues from within. By thinking outside the box (and outside your building), you may find even bigger savings and benefits using commercial solar energy. How can rooftop solar panels help your business? Let’s face it: If an initiative isn’t going to save you money, what’s the point? Many businesses realize a 15 to 25 percent savings in after-tax returns, which equals thousands of dollars a year. According to a recent study, the average commercial property owner pays approximately $2,000 a month on electricity bills. After installing rooftop solar, that figure drops to about $500 a month. In some instances the electric bill is removed all together. This is money you can put back into growing your business. All of our systems offer monitoring software so you can track exactly how much energy you are generating through your rooftop solar system. Energy costs increase 3%-4% on average every year. This can wreak havoc on even the most prudent budget. The sun is free, and with solar photovoltaic panels, you will no longer be at the mercy of the energy industry. Additionally, the cost of purchasing and installing rooftop solar has gone down by more than 70% or more. Today’s customers demand that businesses be environmentally responsible, and solar panels allow you to meet that requirement. Even a small rooftop solar panel system can greatly reduce your CO2 emissions. When you install solar make sure you promote your green efforts in official literature and on social media. 4. Save during tax time. Photovoltaic panels are typically classified as capital improvements and are be eligible for tax credits and write-offs. This increases your return on investment. 5. Add value to your business. If you ever decide to sell your business or building, rooftop solar panels make an excellent selling point. Future buyers may appreciate the fact that the installation is already taken care of and that they will reap energy savings immediately. Many states also have performance-based incentives, a way to receive payment for the electricity your system generates. 6. Enjoy low-maintenance, long-lasting energy production. Once installed, rooftop solar panels require little to no maintenance and produce clean renewable energy over their 25- to 40-year life span. Research shows that top job prospects choose companies based on what they stand for, even more than salary. Therefore, by showing that you care about the environment, employees will be more invested in your mission and more likely to remain loyal to your brand. Customers love businesses that give back. Solar panels are a very visible way to demonstrate your commitment to sustainability. You’ll also be supporting the local economy by hiring a local solar install like ourself. Want to learn more about solar energy? BigSky Solar explains the solar energy basics, including information about the installation process. Contact BigSky Solar today for more information or to receive a quote. Solar panels are not for everyone, but they are for the people that would like to cut costs on their electric bill, have shelter from fluctuating energy prices and say they were not a contributing factor to negative environmental change. With current incentives, rebates, tax credits, REC’s and net metering policies in place there has never been a better time for a New Hampshire resident to start saving money with a solar energy system. All over New Hampshire homeowners and businesses have been making the change to solar and for good reason. Now through 2022 the IRS is offering a 30% federal tax credit available with the purchase of a solar system. Also NH (PUC) or Public Utility Commision has a 50 cent per watt rebate up to $2,500. With these to incentives combined a homeowner can reduce the cost of a solar system by up to 40%. Then you have the ability to utilize multiple different types of solar financing options with variable low interest rates ranging as low as three to four percent. After the initial investment you will continually be reaping the benefits of the panels as they overtime will produce enough energy to create REC’s or Renewable Energy Credits. A REC is created when 1,000 kilowatts of electricity is put on the grid this is good for panel owners because for utility companies, to meet state requirements they have to own a certain amount of REC’s. To get this credits the utilities purchase through a broker, from the producer. Sold at auction a REC will sell for around 50 to 60 dollars a piece. Another benefit is that solar panels increase property value but installations are exempt and not realized on property taxes, meaning you will be able to increase the value of your property by not spending but saving money over time. When going to solar you can also feel good about decreasing the utility companies production rate and helping the environment. Commercial industrial electricity production through fossil fueled plants is responsible for 40 percent of the carbon dioxide admitted to the environment also 23 percent of nitrogen oxide admission and 67 percent of sulfur dioxide admission. These are large numbers that represent contributing factors to global warming and smog creation in the areas of production. Bad for the environment and even your health increased levels of carbon dioxide in the air can play part in worsening heart disease and help influence respiratory problems such a emphysema and bronchitis. When looking at the long term solar would help eliminate these issues of carbon dioxide in the air and generally produce a better environmental situation as a whole. Solar was the way of the future, a revolutionary idea that allowed people to save the environment and their wallets while also becoming energy independent. Not having to worry about the unambiguous impending increases of the utility companies electrical costs has helped solar become a viable option in the eyes of residential homeowners across the country. Noticing the prevalent demand of renewable and solar energy throughout the United States, local state governments have set up net metering policies which allow residents and commercial operations to sell back excess energy generated from their renewable energy production system to the utility company for a set rate. In just quarter 3 of 2015 there was 19 states that created laws or tariffs centered around reforming net metering laws to compensate for greater production or creating policies to help the meet demand of emerging markets. 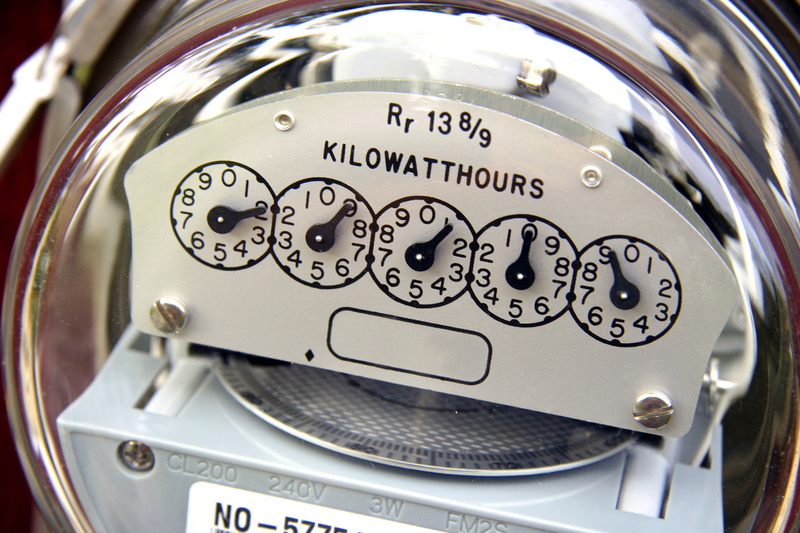 Net metering laws are important when looking at the cost of solar panels. If you can sell the excess energy you produce to a utility company then you can vastly decrease the amount of time that it takes to pay off the array making solar much better investment. In New Hampshire the cost of a residential array can be justified in just 4 to 5 years allowing decades of free energy generation plus the cash flow produced by net metering. But currently in NH the exponential growth of the solar industry has outgrown the old net metering policy and soon will exceed the recently established one. Increasing the from a 75 megawatt cap limit to 100 in early 2016 the policy reform has come in shallow for the industries demands. The 25 megawatt cap will provide net metering options for the first installations that can meet the limit, then there will have to be a larger cap or movement to a different policy. Having met the 75 megawatt limit in 2015, now the number of installations is only set to increase for 2016. From 2014 to 2015 there was a 341 percent increase in the dollar amount invested in solar. Also a 6 percent drop in solar panels prices. Realizing this great demand Public Utilities Commission has been given ten months to create a more sustainable pricing model for the state. More formidable pricing models have already been put in place for states like Texas and Minnesota where a value of solar approach is being implemented as an alternative to the net metering model. The value of solar approach works to create a purchasable price of solar energy apart from the utility company's rates. The price is calculated by adding in all the avoided externalities provided by clean energy generation. These consist of avoided fuel cost for utility companies, transmission cost, avoided internalized emissions cost, avoided greenhouse gas emissions, and lesser need for standby power generation systems. With these factors included, a better represented price of renewable energy is being put in place. Then with this price the home or business owner signs a contract which guarantees that they will be able to sell their energy to the utility company at the price created through the model for the duration of the contract often 25 years or the expected life of the solar system. As New Hampshire and the rest of the country alike start to take notice to the usefulness of this type of pricing model ones of similar respect will be formed to meet specific states needs. This will in turn help establish a long term fixed rate for electricity providers and increase the investment potential for everyone looking into a solar system to help meet their electrical needs.